Home values are up! So if your thinking of selling, don't wait 4 Spring to list your home! Everyone ELSE is doing that! List NOW while there is LESS competition on the market! This is great news for those looking to refinance as well! This spring is shaping up to be the businest housing market we've seen since 2006. Now, thanks to Americas favorite rodent, we can predict that this years strong spring housing market will start sooner than normal. God bless you, Groundhog Day! When the country is so over winter, all eyes turn to one famous groundhog, Pennsylvanias Punxsutawney Phil (sorry, Staten Island Chuck! ), and await his prediction on the advent of spring. When you look at Phils annual predictions, you quickly see that not seeing a shadowas happened on Tuesdayis a rare event. Over the past 95 years through 2015, Phil has been recorded as saying he didnt see his shadow only 14 times. OK, so lets say that Phil is on the money this year. Given this years no shadow report, were likely to have a warmer February. Now, what does that mean for the housing market? Over the 47 years for which we have sales data, when Februarys temperature was above average, February home sales showed growth over the prior year 60% of the time. The reverse scenario does not hold out: When February temperatures are below average, theres still a greater than 50% chance that home sales will be at least average. Thats what I am taking away from Phils forecast for 2016. When the housing market is strong like it is now, and Phil doesnt see his shadow, February sees an average 11% year-over-year increase in existing-home sales. 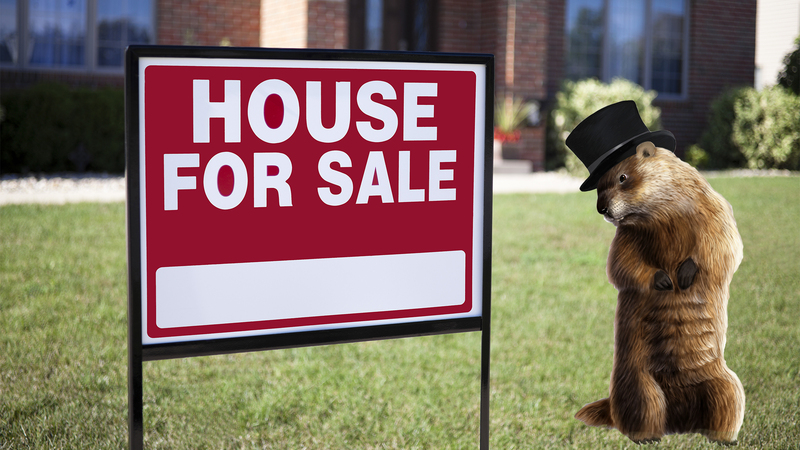 Thanks to Punxsutawney Phil, we know that the spring housing market starts early this yearand buyers and sellers had better be ready.